Unlike other marketing tactics like paid ads or viral advertising, content marketing is a process. 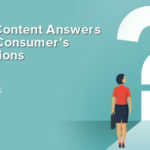 Customers interact with your content multiple times during their journey from initial interest to making a purchase, and they have different needs depending on where they are in that journey. Similarly, your particular business might need certain content and marketing solutions during the steps in the marketing process. 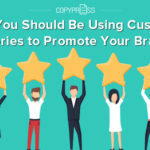 CopyPress works with companies that have fantastic viral content that drives traffic to their website but need help in converting that traffic to sales. We also work with brands that can close any sale, if only they could get more people into the top of their sales funnels. Every company has different needs and goals, which is why we offer a hands-on, individualized method for building a marketing campaign. Keep reading to learn about the CopyPress onboarding process so you can see how we come up with campaigns for clients. By focusing on your needs and improving your sales process, we can improve your revenue and give you a customer-centric approach to your content marketing strategy. All good relationships start with getting participants on the same page, which is why we set up interest calls with all of our potential customers before taking on work. During this call, you have time to discuss the nuances of your industry and the specific goals within your company. Whether or not we’ve worked with your industry before, you might have a completely different take on it with dramatically different needs. Our method is never based on cookie-cutter solutions, but rather on unique plans based on your goals. During the call, we will review your customer demographics, your sales funnel, and possible gaps in your sales process to determine your needs. We review your goals but also offer our own advice based on years of experience. Most importantly, we listen. A good part of this call is spent listening to you, asking questions about your business, and learning about your brand. By listening to your needs, we can react and solve them instead of trying to sell you on whatever products benefit us the most. After the call, we’ll send you an onboarding questionnaire that helps us share your brand with our internal staff. This questionnaire walks you through your brand identity and style guide so we can deliver exactly what you want. For example, it will discuss certain keywords that you want to focus on and industry terms that should be used or omitted in your content. It will review your expected reading level and ask you to share content you admire and want to mimic. Through this questionnaire, our team will be able to read and understand your brand within a few minutes. It will be the guide they follow whenever they interact with your brand. The questionnaires differ by content plan. Below are a few examples of the various services we offer and what they are used for. Content creation is one of our most popular services because of its diversity. From short-form blog posts and product descriptions to in-depth eBooks, we offer content throughout the funnel. Our content questionnaire reviews your goals for the content and how you will measure success. For example, brands often track eBook metrics like the number of shares, links, subscriptions, and time spent on site while reading it. 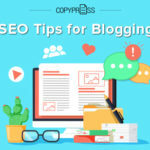 Alternatively, blog post success might be determined by increases in links and organic traffic over a six-month period. Almost 30 percent of marketers spend more than five hours per week creating visual content, and visual content creation grew by 130 percent in a recent year. Many of our customers come to us with graphic design needs because they lack the resources to keep up with demand, or they simply don’t have the skills to execute their visions. Our graphic design questionnaire works to understand why you need our services. We can create graphics to increase your traffic and assist your top-funnel goals or create sales graphics that are shared with highly-qualified leads. We focus on both quality and quantity, which takes the burden off of your team to keep up with audience demand for visual content. Content creation and design are only the beginning of our services. We also promote your content and help drive traffic to your brand. 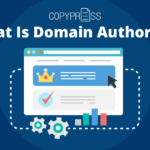 For example, we can make sure the whitepapers or infographics we develop get the right amount of links you need or drive certain traffic levels to your website. This process increases the effectiveness of the content while improving your bottom line and sales funnel. To help us, you will fill out our connections questionnaire so we can learn about other blogs in your industry and how you work with them. Once we agree on the elements of a campaign, we will send over an MSA (master services agreement) and SOW (statement of work) for your approval. These two documents will review the exact deliverables, costs, and timeline for the project. We try to make these pieces as detailed as possible, so you know exactly what to expect from us. Our team is dedicated to meeting our MSAs exactly, with minimal roadblocks and scope creep. 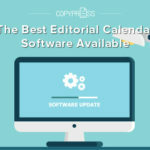 Years of dedication in the content industry have helped us improve our deadline goals and content planning techniques. When you work with us, you’re working with a company that delivers exactly what you need, on time. With the paperwork complete, you will kick off the campaign with a call with your dedicated client strategist, who will work to address your concerns and manage the team that creates your content. The team will then strive to understand your needs and goals and will work to complete the job efficiently. Many of our clients form strong professional relationships with their strategists and use them to brainstorm other marketing strategies and options for promotion in the future. 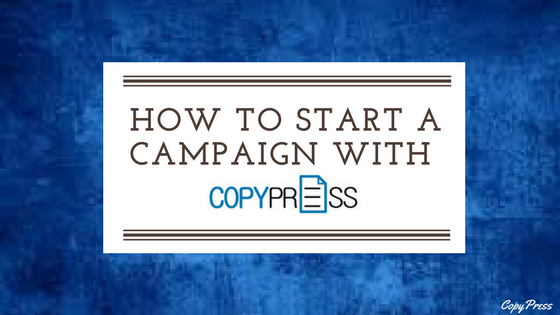 If you’re ready to start a campaign with CopyPress, let’s chat about your options. Contact us today to begin your content marketing process and learn how your sales funnel can be improved with better content.